preinked stamp is perfect for large oblong images with it's 1-9/16in. x 4-3/4in. impression area. As with all istamp or MaxLight products, it makes clean, crisp imprints, no matter how detailed the copy may be. 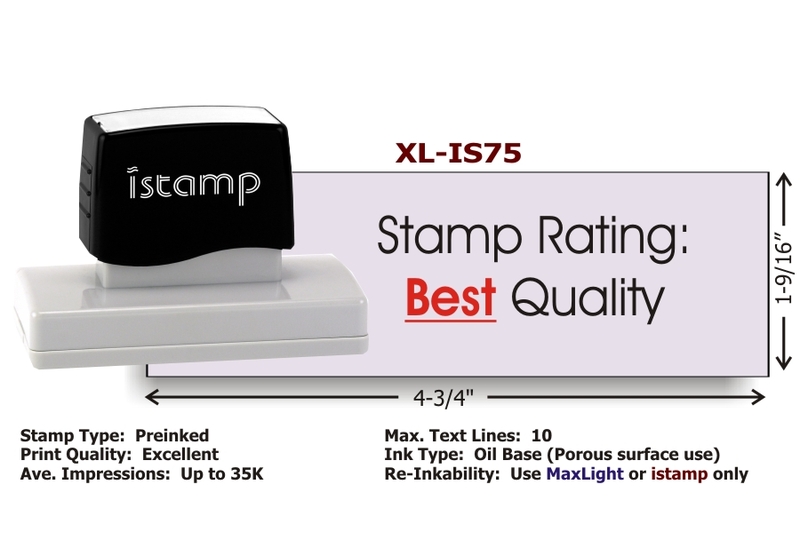 Rated at 35,000 impressions with excellent print quality, this stamp is precisely engineered and can be reinked with either istamp or MaxLight ink.